Kgetsa is a talented, gifted, versatile and multilingual artist who enjoys the ability to captu re the hearts of his audience through poetry. He has an electrifying stage performance of the highest standard. 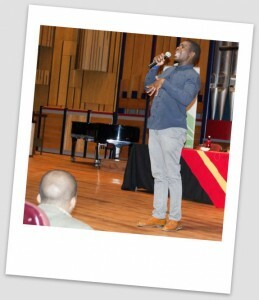 He normally performs at corporate events, offering poetry on a range of topics to suit the audience. Kgetsa is a member Penpals Poets, a group of performing poets committed using poetry as a medium to educate, entertain and inform. Their style has been described by their audience as a prolific and compelling, engaging different audiences in the themes they explore. Kgetsa has shared the stage with the biggest names in poetry namely: Poet Laureate Prof Keorapetse Kgositsile, David wa Maahlamela, Mak Manaka and Afurakan. to name a few. He has performed for the former President of South Africa, Thabo Mbeki, the head of the UN Women, Phumzile Mlambo-Nqcuka, and Vice-Chancellor of the University of South Africa, Mandla Makhanya amongst many others. Kgetsa’s poem, My African National, Corruption is featured in The #Coinage Book One and explores the current political climate in post-apartheid South Africa. Siza Nkosi is a published poet, writer, lyricist, guitarist and a mother who has shared pages of her life-stories on stages with renowned poets and artists. She currently works as an IT Networking Specialist. Her journey as a poet and writer started in 2006, when she was discovered by Abdul Milazi – Editor of Sunday World – at her sister’s funeral. She wrote a poem to pay tribute to her sister at the back of the funeral programme and since then, she has never looked back and her love for poetry was unearthed. She is currently co-ordinating two book clubs in Dube, Soweto where young people are afforded a space and platform to learn how to read and write their own stories. Siza’s poetry has grown from strength to strength, and has motivated her to become one of the first women to fuse poetry with the acoustic sounds of a guitar and explore the connection between poetry and jazz. She is the founding member of House of Siza, an NPO that seeks to change people’s lives through literature, and empower them to tell their stories in their own languages. She’s a resident poet for the MoFaya Poetry Movement,in Randburg, where poets meet every quarter to share and connect with others. She is also a member of Divulge – a creative space for artists to share, connect and network on their projects. 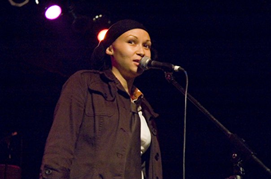 In 2007, she was one of the finalists in the international poet of the year competition in Michigan, USA. In 2013, she was part of the Spoken Word Project that was organised under the auspices of Goethe Institute – Johannesburg, where ten South African poets showcased their spoken word skills and engaged audiences in a torrent of words and stories. She also took part in the 2012 and 2014 Polokwane Literary Festival and 2014 Northern Cape Literary Festival as well as the Vhembe International Poetry Festival in 2015. 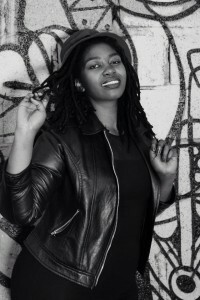 Her work has been published in the Timbila Journal, the Sol Plaatje European Union Poetry Anthology for 2014 and other online poetry journals; She’s written articles featured in magazines like Urban Tymes California and has recently shared her poetry on Poetry in the air on SAfm with Myesha Jenkins. 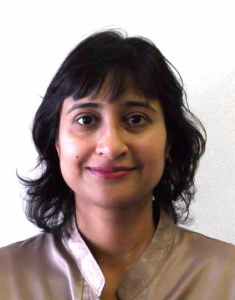 Her work has also been recently featured in Poetry Potion’s 21 Poets project that used poetry to track the story of South Africa, 21 years after democracy. The texture and quality of her work is informed by real life experiences and stories that narrate the realities of people around her. 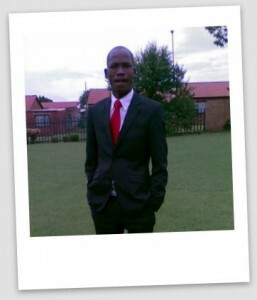 Since education is her passion, she has to enrolled with UNISA for a law degree (LLB). She is currently working on her debut collection of poems which will be published in the last quarter of 2015. Her poem, “Try Not To Mourn”, is featured in The #Coinage Book One. You can keep up-to-date with the House of Siza, here. 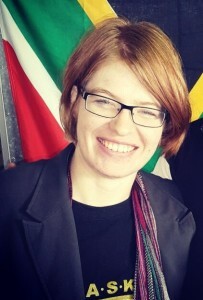 Wanda Verster is an architect, an academic and a writer (in training). She lives in Bloemfontein and is deeply connected to this strange central town that tries to be a city. She developed a love for stories through the influence of her Grandparents, who loved history, her mother who read to her from an early age and her father who stocked their house with great literary works. Wanda is published as an academic writer but this is the first fiction that has been accepted for publication. She has always had a passion for the written word and has been writing short stories since her school days. Her training as a writer was strictly academic, through her studies in architecture and Art history. As with most lecturers, a bit of formality always sneaks in when she tries her hand at writing anything other than fact-driven arguments. 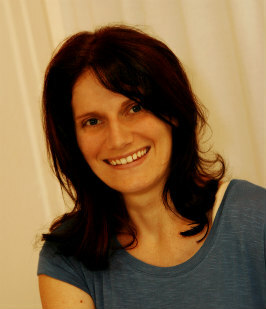 Her published work is limited to the academic world. 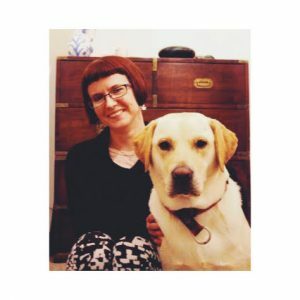 She has written research articles for the South African Journal of Art history and has contributed to architectural publications.
. All Wanda’s creative writing is fuelled by vast amounts of coffee, procrastination and a desire for a creative outlet. Footnote was inspired by the lecturers that shaped her career, a few imagined scenes and a love for the world of academics.